Safe and precise measurement,Measures body temperature on the forehead and in the ear,Thermometer holder included. WARRENTY - 1 YEAR * if any manufacturing defect only. 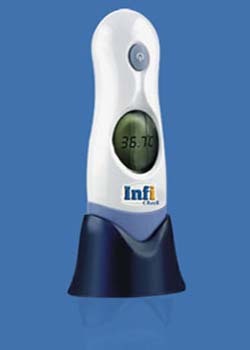 Designed using latest technology, thermometers are easy and simple to use and provide quick forehead and ear temperature.